Let me tell you a thing or two about livin' in a broken world. Everybody's all shook up in case you haven't heard. But for Randolph, the road to Lickety Split—his first studio recording in three years—wasn't an easy path. Though his distinctive mix of rock, funk, and rhythm & blues continued to earn a rapturous response from a fervent, international audience, he felt that he had lost some of the enthusiasm and intensity that had driven him to make music in the first place. "We just weren't being creative musically," he says. "Being on the road 280 days a year, you wind up playing too much and it isn't fun anymore. Soon, you stop being that concerned about how good you can be, how important it is to create and write. You kind of lose sight of that, of being focused on your craft and spending time with your instrument. I've become more in love with my guitar now, and staying relaxed and practicing and trying to create different sounds." The new album showcases the unique chemistry of the Family Band—comprised of the guitarist's actual family members Marcus Randolph, Danyel Morgan, and Lenesha Randolph, together with guitarist Brett Haas. The eleven original compositions, plus a stomping cover of "Love Rollercoaster" by the Ohio Players, were produced by Robert Randolph & The Family Band, Danyel Morgan, Marcus Randolph, Tommy Sims, Drew Ramsey, and Shannon Sanders; engineered by the legendary Eddie Kramer (Jimi Hendrix, Led Zeppelin); and feature special guest appearances from Trombone Shorty and Carlos Santana. Randolph notes that the title track of Lickety Split (on which his sister sings the hook) is one of his favorites. "What's great about that one is that it's something we actually played in church, just like that," he says. "There's a section in the service called the 'Jubilee Jam Session Time,' and I can show you video where we played that very same riff." But if there's one track on the album that captures the band's new spirit, it's one that started as a jam session in a Nashville studio during a break in recording, and later came to be titled "Born Again." "It's about finding the joy again," says Randolph. "At first it was more of a love song, the sense you get when you find the right person, but then as we were recording this new music with a whole new sense of direction, and feeling free again, that all came into it. It's not a religious thing, it's just new energy—which is really the old energy that I had at the beginning of my career." 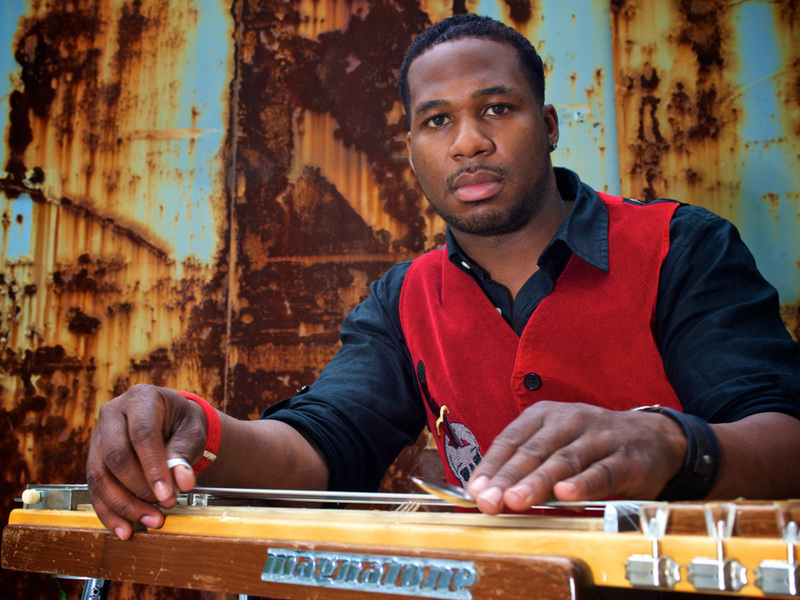 Robert Randolph & The Family Band first gained national attention with the release of the album Live at the Wetlands in 2002. The band followed with three studio recordings over the next eight years—Unclassified, Colorblind, and We Walk This Road—which, together with tireless touring and unforgettable performances at such festivals as Bonnaroo, Austin City Limits, and the New Orleans Jazz and Heritage Festival, won them an expanding and passionate fan base. Randolph's unprecedented prowess on his instrument garnered him a spot on Rolling Stone's "100 Greatest Guitarists of All Time" list, and also attracted the attention of such giants as Eric Clapton and Carlos Santana, who have collaborated with him on stage and in the studio. "What I've learned from being around those guys—and you never really notice it until the moment is away from you—is that it's really important to them that someone keeps original music going, that you're not just trying to be like everybody else," he says. "Eric really wants to know what's going on now, he's always going 'Show me that lick again! '—they're like little kids, and that's really the great part about it. It makes me think that I need to keep getting better, to stay excited and keep trying to be innovative and keep growing." Most recently, Randolph has attempted to amplify the tradition from which he came by executive producing the Robert Randolph Presents the Slide Brothers album, a recording which features some of the older "sacred steel" players from the House of God church who inspired him to pick up an instrument. "This is part of my whole story, which a lot of people don't understand," he says. "In our church organization, playing lap steel in church has been going on since the 1920s. These guys were my mentors, my Muddy Waters and B.B. Kings. Thinking that I started this style is like saying Stevie Ray Vaughan was the first guy to play the blues. I wanted to do this record so that everybody could understand the story and start connecting the dots." He is also taking a bold new step by remodeling an abandoned school building in his hometown of Irvington, New Jersey and opening the Robert Randolph Music and Arts Program. "There hasn't been any arts in the schools, period, since I was in high school," he says. "So my whole motivation changed to a full-on effort to get these kids into music, and also find out what other passions they have and try to offer that. These kids don't have anything to do, they don't have any hope."